Booker May Face Senate Ethics Review For Releasing "Confidential" Kavanaugh Docs At Confirmation Hearing - Joe.My.God. The Senate’s top two Republican lawmakers say Sen. Cory Booker (D-N.J.) might be subject to an official review by the Senate Ethics Committee for releasing documents labeled “confidential” related to Supreme Court nominee Brett Kavanaugh’s past work at the White House. 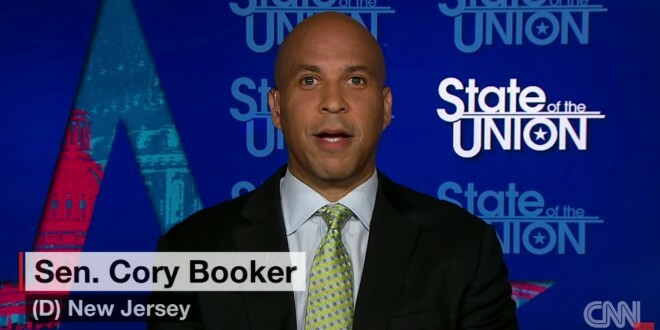 Senate Majority Leader Mitch McConnell told Hugh Hewitt on Friday that Booker’s decision — which the Democratic senator acknowledged violated the Senate rules — was “unusual” and that he wouldn’t be surprised if it was reviewed by the Senate Ethics Committee. “Let me just say this. When you break the Senate rules, it’s something the Ethics Committee could take a look at. And that would be up to them to decide. But it’s routinely looked at the Ethics Committee,” McConnell said.